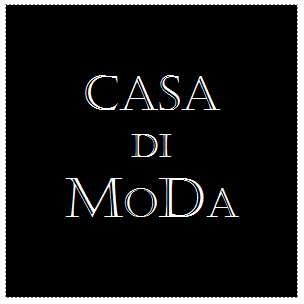 Welcome to our web site www.casadimoda.com.my. These Terms and Conditions of Use govern the access to and use of www.casadimoda.com.my. The access to and use of this web site as well as the purchase of products on www.casadimoda.com.my are based on the assumption that these General Terms and Conditions of Use have been read, understood and accepted by you. Request for further information can be made through our Customer Care or sent to the address: support@casadimoda.com.my. The Provider may amend or simply update all or part of these General Terms and Conditions of Use. Any amendment of the General Terms and Conditions of Use shall be made therefore you should regularly access this section on the web site in order to check the most recent and updated General Terms and Conditions of Use of www.casadimoda.com.my. If you do not agree to all or part of the www.casadimoda.com.my’s General Terms and Conditions of Use, please do not use our web site. The access to and use of www.casadimoda.com.my, including display of web pages, communication with Provider, downloading product information and making purchases on the web site, are carried out by our users exclusively for personal purposes, which should in no way be connected to any trade, business or professional activity. Remember that you will be liable for your use of www.casadimoda.com.my and its contents. The Provider shall not be considered liable for any use of the web site and its contents made by its users that is not compliant with the laws and regulations in force, without prejudice to Provider's liability for intentional torts and gross negligence. All content included on this Site, such as works, images, pictures, dialogues, music, sounds, videos, documents, drawings, figures, logos, menus, web pages, graphics, colours, schemes, tools, fonts, designs, diagrams, layouts, methods, processes, functions and software (collectively, “Content”), is the property of www.casadimoda.com.my or Provider and is protected by national and international copyright and other intellectual property laws. You may not reproduce, publish, distribute, display, modify, create derivative work from, or exploit in any way, in whole or in part, the Content without the prior express written consent of Provider as the case may be. Provider shall have the exclusive right to authorize or prohibit in their sole discretion any reproduction, publication, distribution, display, modification, creation of derivative work from, or exploitation in any way of, in whole or in part, the Content. Provider shall have the right, at any time, to claim the authorship of any Content posted on this Site and to object to any use, distortion or other modification of such Content. Any reproduction, publication, distribution, display, modification, creation of derivative work from, or exploitation in any way of, the Content expressly authorized in writing by Provider shall be carried out by you for lawful purposes only and in compliance with all applicable laws. Please, contact the Provider at the following e-mail address: support@casadimoda.com.my if you are interested in linking the Home page of www.casadimoda.com.my and other web pages which can be publicly accessible. You are requested to contact the Provider for requesting our consent to linking www.casadimoda.com.my. The Provider grants links to www.casadimoda.com.my free of charge and on a non-exclusive basis. The Provider is entitled to object to certain links to its web site in the event that the applicant who intends to activate links to www.casadimoda.com.my has, in the past, adopted unfair commercial or business practices which are not generally adopted or accepted by the market operators, or has made unfair competition activities in relation to the Provider or the latter's suppliers, or when the Provider fears that such practices or such activities might be adopted by the applicant in the future. In any event, it is forbidden to post deep links (such as deep frames) to www.casadimoda.com.my or to use unauthorised meta-tags without the Provider consent. The Provider does not warrant that the contents of the web site are appropriate or lawful in other Countries outside Latvia. However, in the event that such contents are deemed to be unlawful or illegal in some of these Countries, please do not access this web site and, where you nonetheless choose to access it, we hereby inform you your use of the services provided by www.casadimoda.com.my shall be your exclusive and personal responsibility. The Provider has also adopted measures to ensure that the content of www.casadimoda.com.my is accurate and does not contain any incorrect or out-of-date information. However, the Provider cannot be held liable for the accuracy and completeness of the content, except for its liability for tort and gross negligence and as otherwise provided for by the law. Moreover, the Provider cannot guarantee that the web site will operate continuously, without any interruptions and errors due to the connection to the Internet. In the event of any problem in using our web site please contact our Customer Care by visiting our Customer Care area or write to the following e-mail address: support@casadimoda.com.my. A Provider representative will be at your disposal to assist and help you to restore your access to the web site, as far as possible. At the same time, please contact your Internet services provider or check that each device for Internet connection and access to web content is correctly activated, including your Internet browser. The dynamic nature of the Internet and web content may not allow www.casadimoda.com.my to operate without any suspensions, interruptions or discontinuity due to updating the web site. The Provider has adopted adequate technical and organisational security measures to protect services on www.casadimoda.com.my, integrity of data and electronic communications in order to prevent unauthorised use of or access to data, as well as to prevent risks of dissemination, destruction and loss of data and confidential/non confidential information regarding users of www.casadimoda.com.my, and to avoid unauthorised or unlawful access to such data and information. The Provider has adopted a business policy; its mission consists of selling products through its services and its web site to "consumer" only. "Consumer" shall mean any natural person who is acting on www.casadimoda.com.my for purposes which are outside his or her trade, business or professional activity (if any). If you are not a consumer, please do not use our services for purchasing products on www.casadimoda.com.my. The Provider shall be entitled to object to the processing of purchase orders from persons other than consumers and to any other purchase order which does not comply with the General Terms and Conditions of Sale and these General Terms and Conditions of Use.